Ever since finding out we were pregnant with Ford almost 2 years ago, Jon and I have been so excited to celebrate the holidays with our little family. Ford was still a squishy little newborn during last year's holiday season so I have been looking forward to this year SO much! 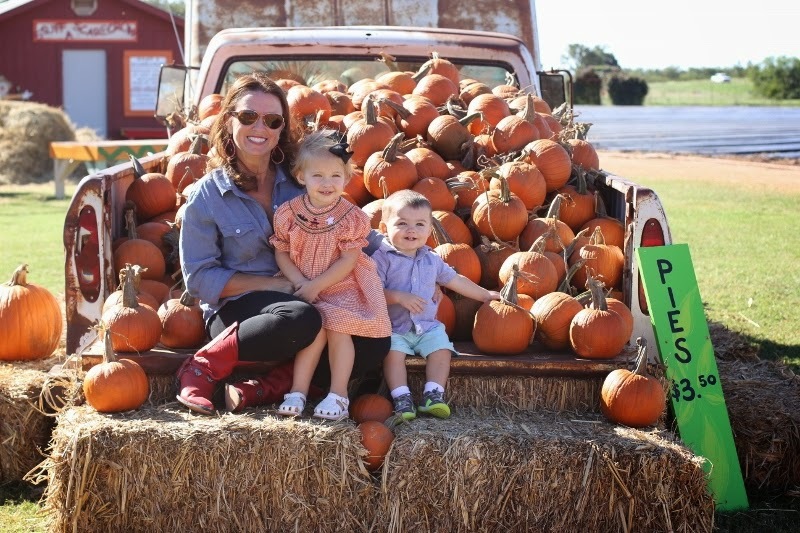 Pumpkin patches, carving pumpkins, trick or treating. 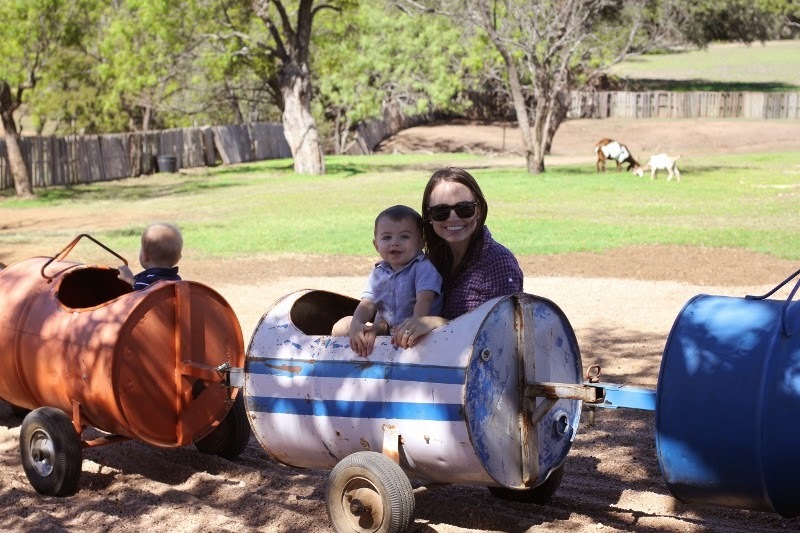 One of the things my sister and I have been dying to do with our babies is take them to Sweet Berry Farms in Marble Falls, TX. 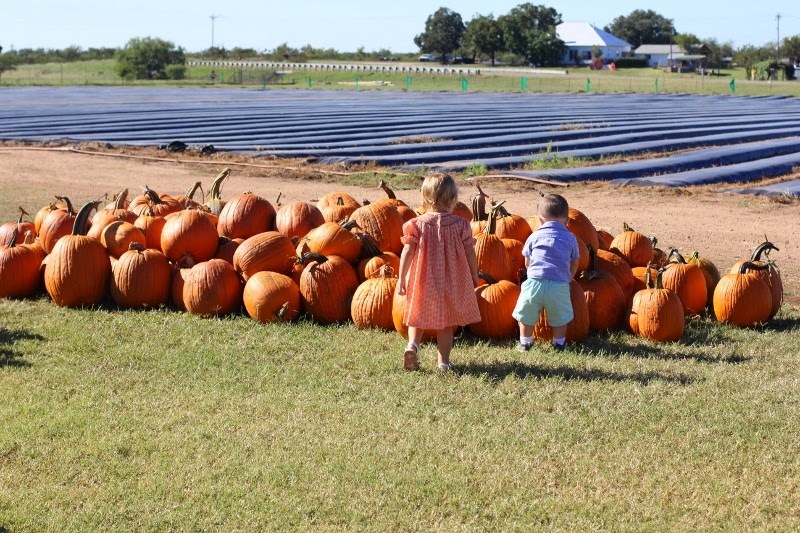 It is about 45 minutes from Austin and has the most adorable pumpkin patch/hayrides/petting zoo/etc. in the fall and is open for berry picking in the spring. 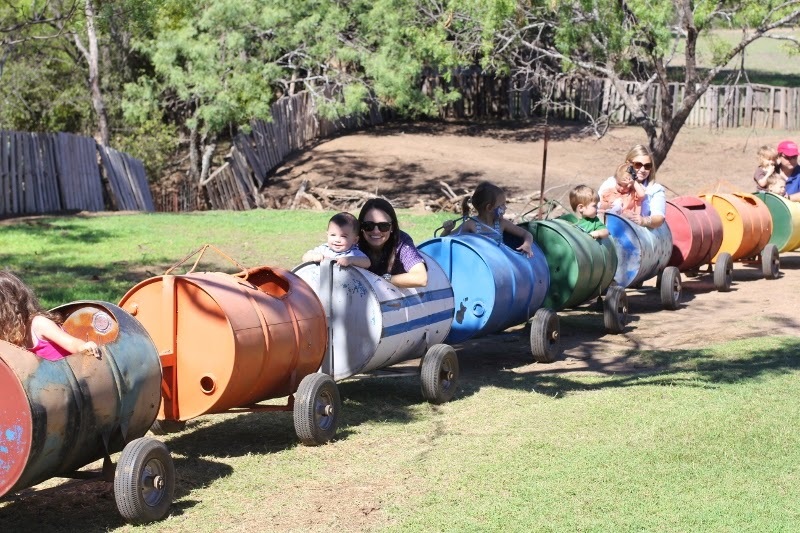 It is a hotspot for toddlers, preschool field trips, and parents. We headed out there on Friday and Ford had the time of his life. 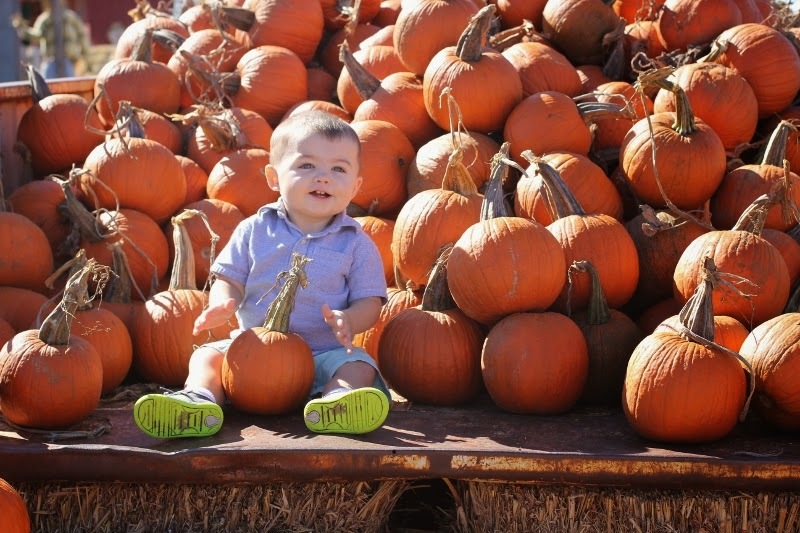 He would have spent hours running through the piles and piles of pumpkins if I let him. 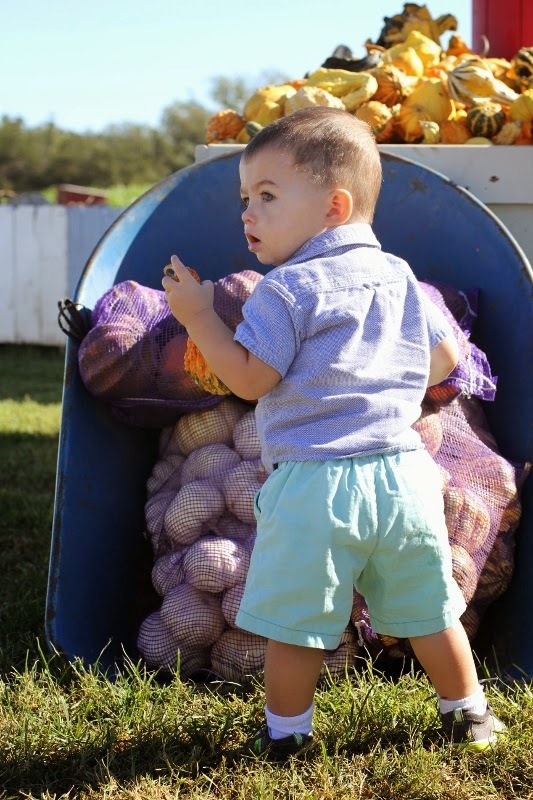 He is so sturdy on his feet and loves exploring on his own (which I love watching him do). 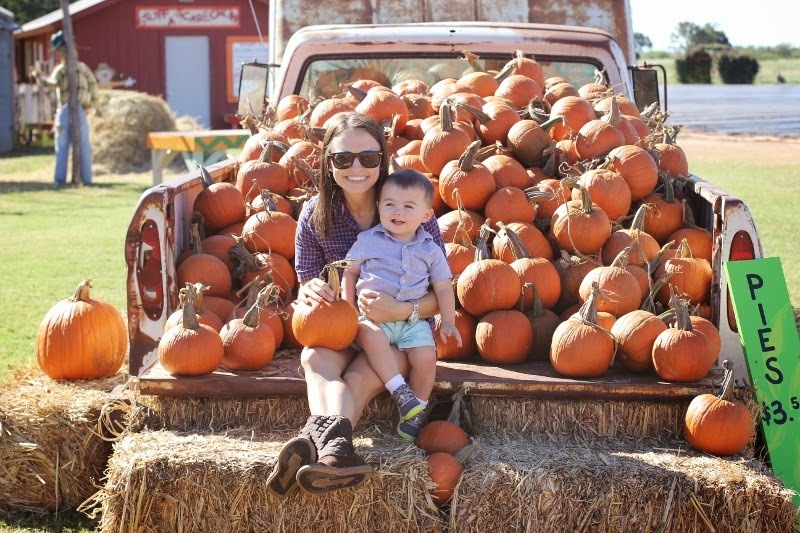 We took lots of pictures in the beautiful pumpkin displays, took a fun hayride, and went on Ford's first train! 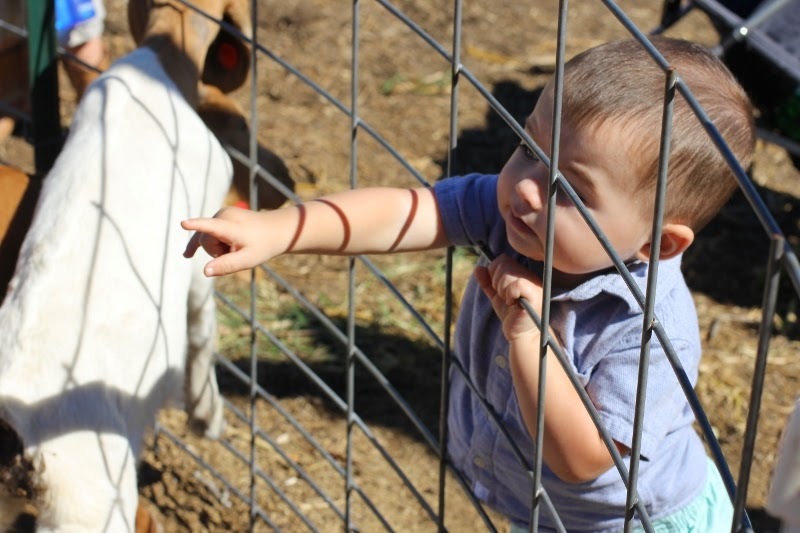 He also got an absolute kick out of the goats at the farm. The baby goats instantly took to him and nibbled his fingers and licked his face (so sanitary huh?). 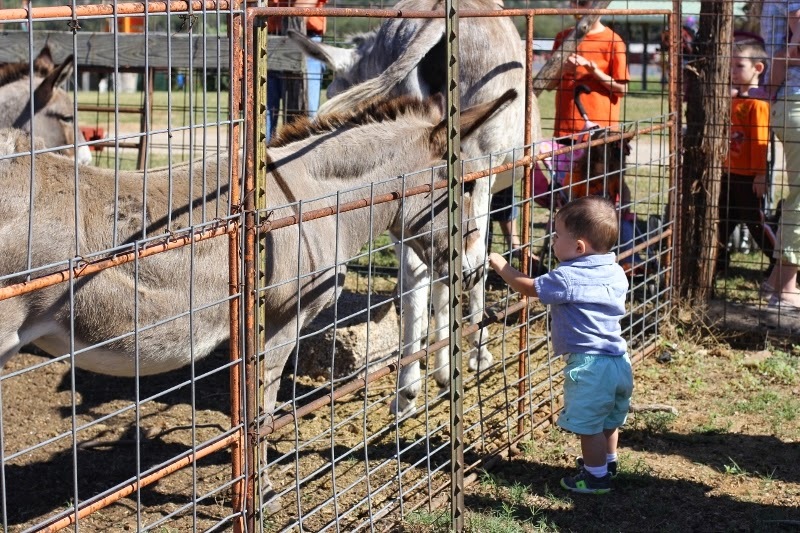 He's funny because sometimes he'll get nervous around certain things (Halloween decorations, stingrays at the aquarium), but he was all about the goats and donkeys. I posted a video below. 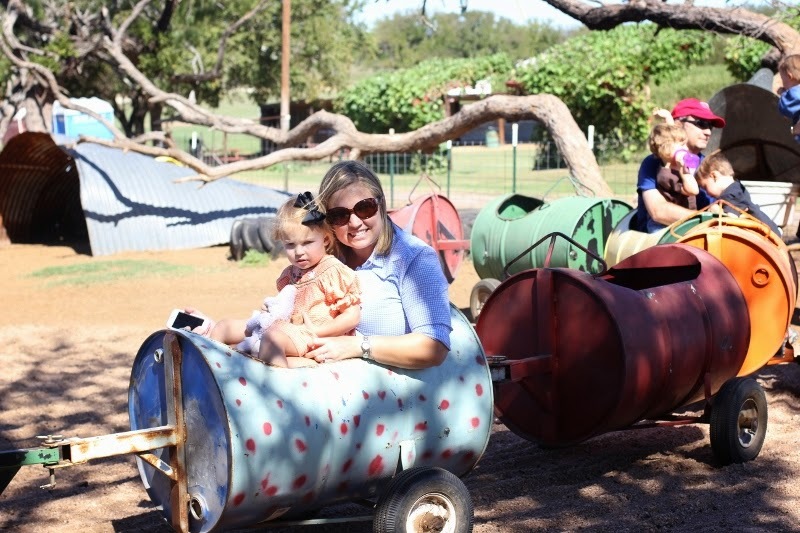 If you live in the Austin area, Sweet Berry Farms is a must this fall! Jon had to work Friday but I wish he could have come with us, it is fun for the whole family. 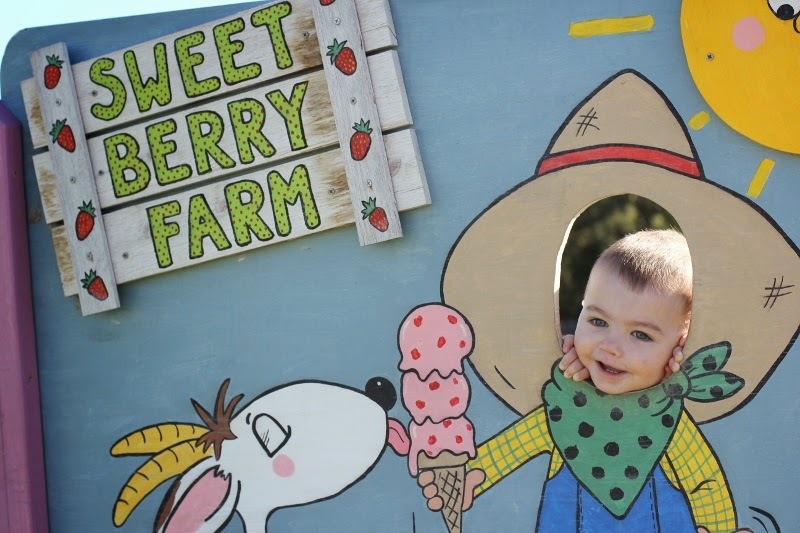 I can't wait to take Ford this spring for berry picking! 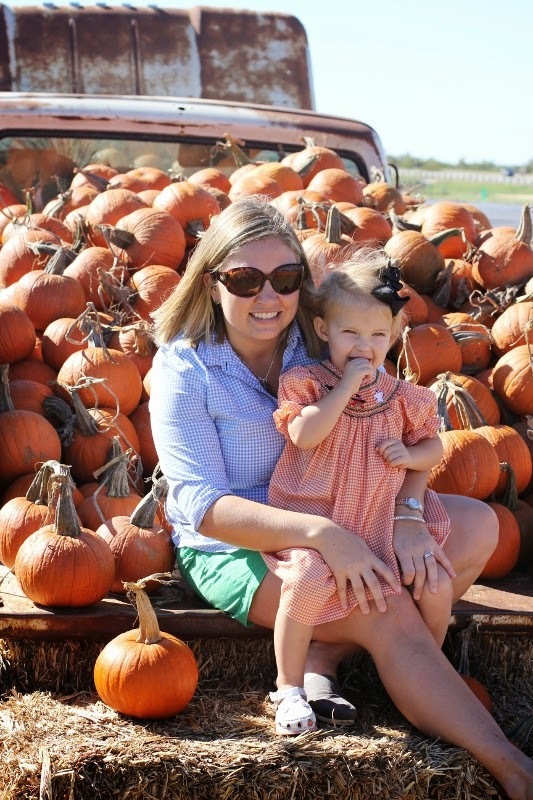 We've never gone to Sweet Berry Farms and have always gone to the pumpkin patch in Elgin. It's smaller but a lot closer, so it wins, ha. Looks like y'all had a blast! He is such a little boy now! How did that happen so quick?! Looks like you had a great day! My goodness Ford looks like a little man!!! It's crazy to see how much he has grown. 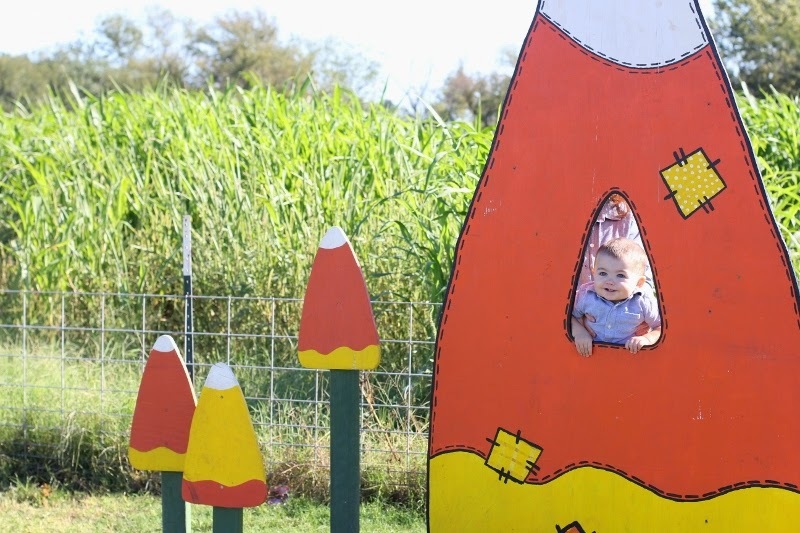 That farm looks like a great place to make memories. 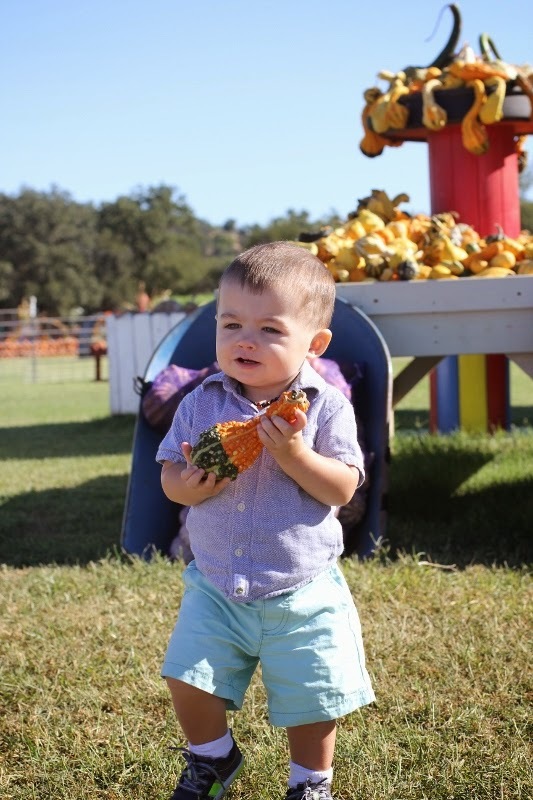 :) Can't wait to take our little guy to the pumpkin patch. Oh my, this is the cutest! I totally understand what you mean My daughter is almost 7 months, but still a little too young to enjoy this holiday season. 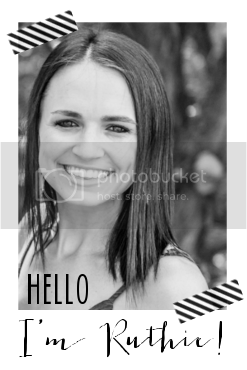 Next year will be awesome! !